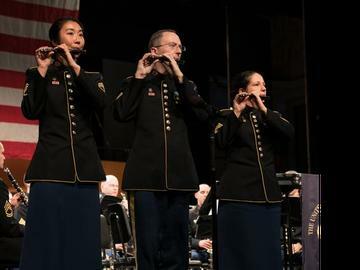 Join The U.S. Army Field Band Concert Band & Soldiers' Chorus as we present a free concert of classical, semi-classical, popular music selections, choral arrangements, novelty numbers, military marches, and patriotic favorites. This performance is sponsored by Summit High School and The Bulletin. Disclaimer - Ticket holders should be seated by 2:45 p.m. Unclaimed seats will be released to non-ticket holders at 2:50 p.m.